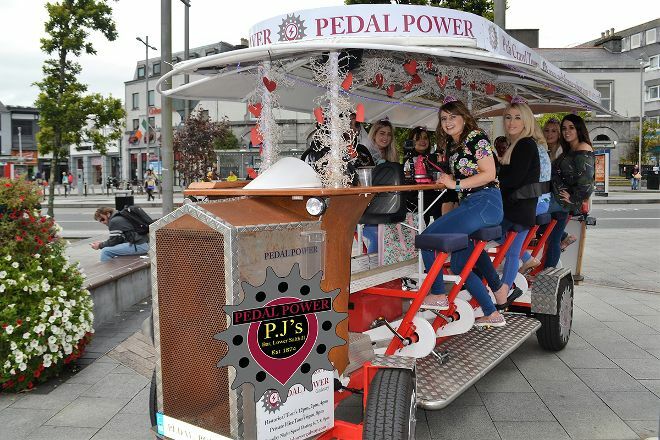 To visit Pedal Power Galway on your trip to Galway, use our Galway trip maker website . 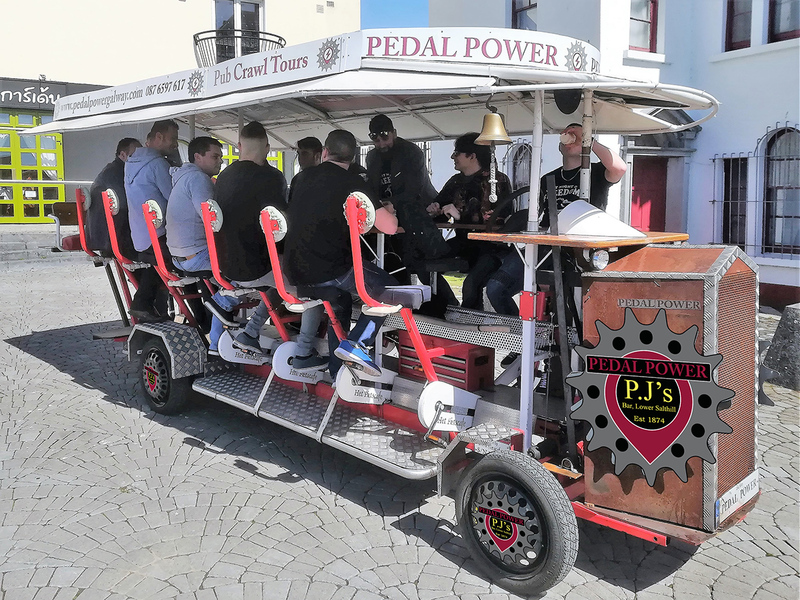 We just booked Pedal Power (Paul) for last Saturday for a hen party for 13 of us (mix of young and old). Paul was amazing. Well organised, on time, good fun. The route was beautiful - we saw lots of the coast and galway city. The whole bike thing was just perfect for us! It was absolutely hilarious, he had speakers that we could play music through to our hearts content, we were able to chat and laugh (excessively) and get to know each other well before the wedding. I was a bit worried in advance because we were a ix of ages and 'athletic ability' but there were no concerns, theres even a couple of seats that dont have pedals for anyone that really would have had an issue, though Mum did give it a go and was fine. :) We went to the escape room then after which was a great time too - but honestly the bike was the highlight. I cannot rate this highly enough and I'd love to do it again. Every day, we help thousands of travelers plan great vacations. Here are some tips on how to use your Listing Page to attract more travelers to your business - Pedal Power Galway. Promote your permanent link - https://www.inspirock.com/ireland/galway/pedal-power-galway-a1399349373 - on your website, your blog, and social media. When a traveler builds a plan from this page, the itinerary automatically includes Pedal Power Galway. 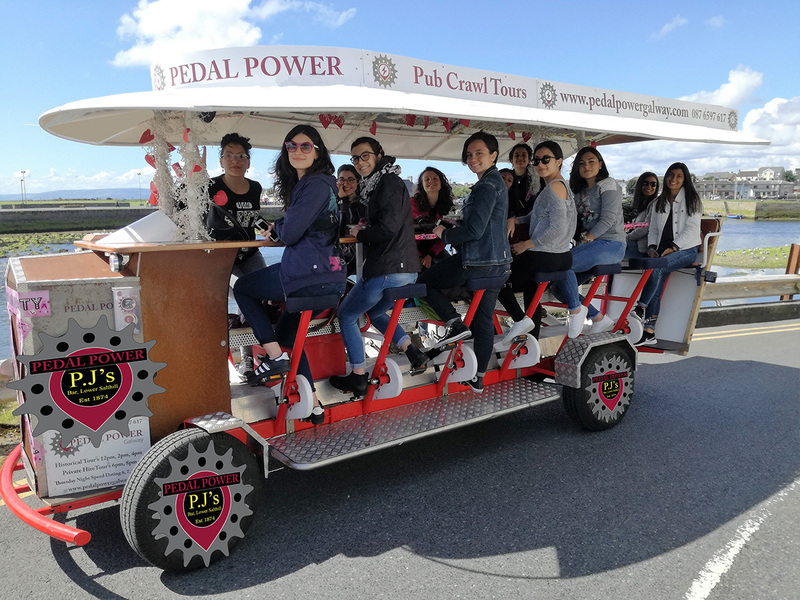 This is a great way for travelers looking for a great vacation in your city or country to also experience Pedal Power Galway. Promoting your link also lets your audience know that you are featured on a rapidly growing travel site. In addition, the more this page is used, the more we will promote Pedal Power Galway to other Inspirock users. For best results, use the customized Trip Planning Widget for Pedal Power Galway on your website. It has all the advantages mentioned above, plus users to your site can conveniently access it directly on your site. Visitors to your site will appreciate you offering them help with planning their vacation. Setting this up takes just a few minutes - Click here for instructions.